Marquis Estates are delighted to bring to the rental market this well presented semi-detached barn conversion, situated within the grounds of a Grade II Listed building, in a rural location in the North Essex Countryside. 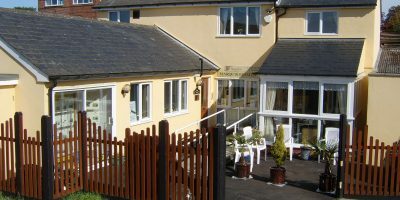 The property offers spacious well appointed accommodation and is let unfurnished. Viewing is highly recommended to avoid disappointment. A spacious room having double aspect with sealed unit double glazed windows to both front and rear elevations, wood burning stove to one side of the room, smooth ceiling with three light pendants, mains powered smoke alarm, carbon monoxide alarm, TWO DOUBLE RADIATORS, solid timber floor, power points and cable from an external satellite dish. Staircase rising to the first floor with fitted carpet. Solid timber door opens to kitchen. The modern fitted kitchen comprises wood block effect work surfaces on two sides of the room with a range of drawer and cupboard units fitted beneath finished with Shaker style cabinet fronts. A stainless steel sink unit with monobloc tap inset the work surface, Siemens four ring electric hob with Siemens electric single cavity oven beneath. Recess for fridge/freezer, space and plumbing for a washing machine and dishwasher. Three wall cabinets provide additional storage with larder cabinet to one side. Smooth ceiling with ten recessed LED lights over the work surfaces, sealed unit double glazed windows on three sides of the room, solid wooden floor continues from the sitting room, DOUBLE RADIATOR, power points and space for table and chairs. The room features decreasing head height to both front and rear elevations, smooth ceiling with seven recessed LED lights including an additional light recessed over the staircase, mains powered smoke alarm, Velux double glazed window to the rear elevation with fitted blind, three doors opens to eaves storage cupboards, DOUBLE RADIATOR, fitted carpet and power points. The modern white suite features a larger than average white shower tray, glazed on three sides with pivot door the fitted thermostatic shower features a large overhead drencher and smaller wall mounted shower head, pedestal wash hand basin with chrome monobloc tap and a square line dual flush close coupled WC. Smooth ceiling with two recessed LED lights, extractor fan with halogen light over the shower cubicle, slim Velux double glazed window to the rear elevation, shelved recess to one side, door to eaves storage cupboard, chrome towel radiator and vinyl flooring. The property features pea shingle area outside the entrance door with bench. The Tenant will have use of an area of garden beneath the Walnut tree within the grounds for their use. AGENTS NOTE(1): A service charge of £250.00 per calendar month applies to this property and is payable direct to the Landlord. The service charge covers use of broadband, council tax, heating oil, water and sewerage costs. AGENTS NOTE(2): Regarding non-optional fees towards the cost of securing references, Prospective tenants are required to pay a non refundable administration fee of £95.00 for the first applicant and £55.00 for every additional applicant thereafter.